Eagle Eye Technology built and currently run the World's Biggest Permanent NFC Advertising Platform for Clear Channel UK. 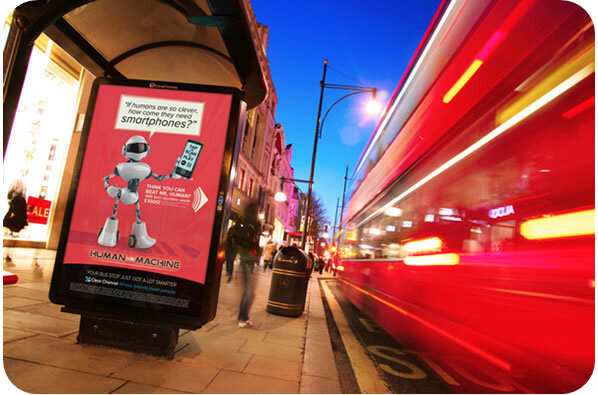 In December 2012 Clear Channel, the UK’s leading out-of-home advertising company announced Eagle Eye Technology were chosen to help design and build a system that can add a mobile enhanced advertising experience to every single Clear Channel poster and screen in the UK (of which there are over 60,000). Eagle Eye Technology are market leaders in innovative and creative uses of NFC technologies and mobile. Their track record of running global platforms for companies like Sony, along with over 6 years of being Clear Channel’s exclusive mobile product partner, meant that they were perfectly placed to build and run the service for Clear Channel UK. The mobile enhanced advertising experience, being rolled out in Q1 2013, will be the world’s largest static NFC advertising network. The mobile enhanced advertising experience, designed and built by Eagle Eye Technology, uses cutting edge NFC technology and more traditional QR codes to allow members of the public to request additional information direct to their phone about any advert within an “enhanced” Clear Channel unit in the UK. The three year deal allows Eagle Eye Technology to help Clear Channel build and expand the system, blurring the boundaries between traditional advertising and digital media.